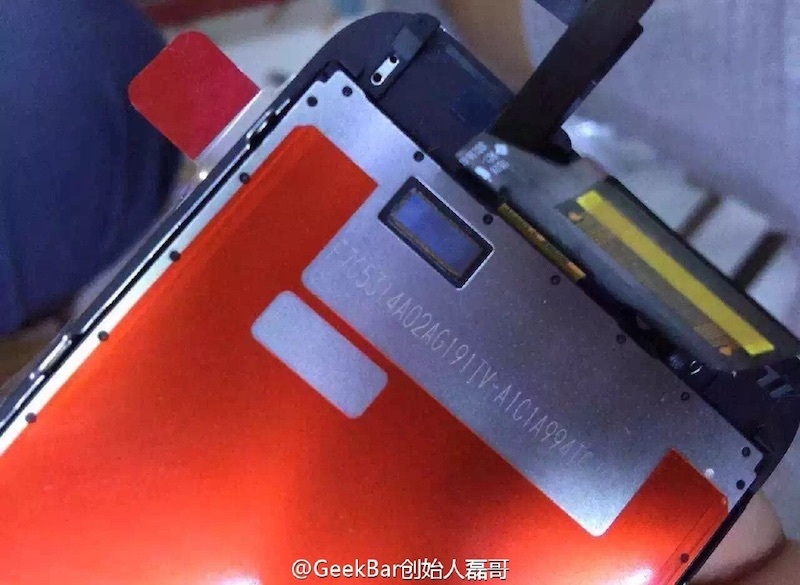 Chinese phone repair company GeekBar has shared a series of three photos today (via Nowhereelse.fr) showing what is claimed to be a display assembly for the upcoming "iPhone 6s". While the photos do not confirm that the device will be equipped with Force Touch sensing as has been rumored, they do appear slightly different from the corresponding parts for the iPhone 6. 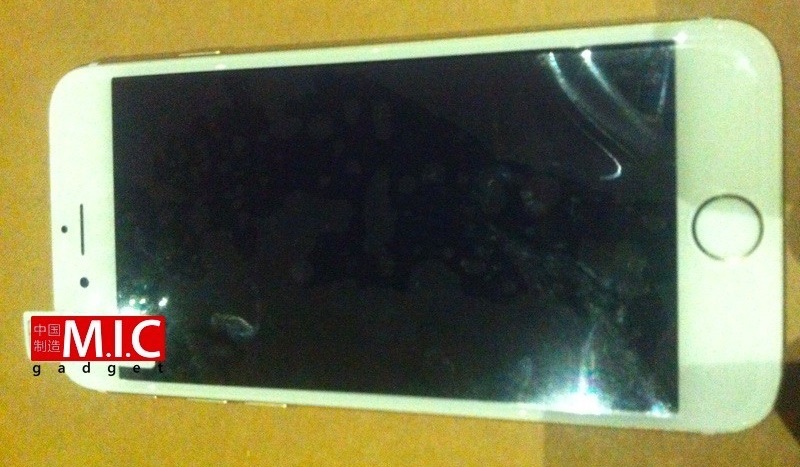 Meanwhile, M.I.C Gadget shares a few photos of what it says is a prototype version of the iPhone 6s. The device is not shown turned on and the photos themselves do not reveal any differences compared to the iPhone 6, but the source claims the device measures 7.1 mm thick, slightly thicker than the 6.9 mm iPhone 6 and matching the 7.1 mm iPhone 6 Plus. 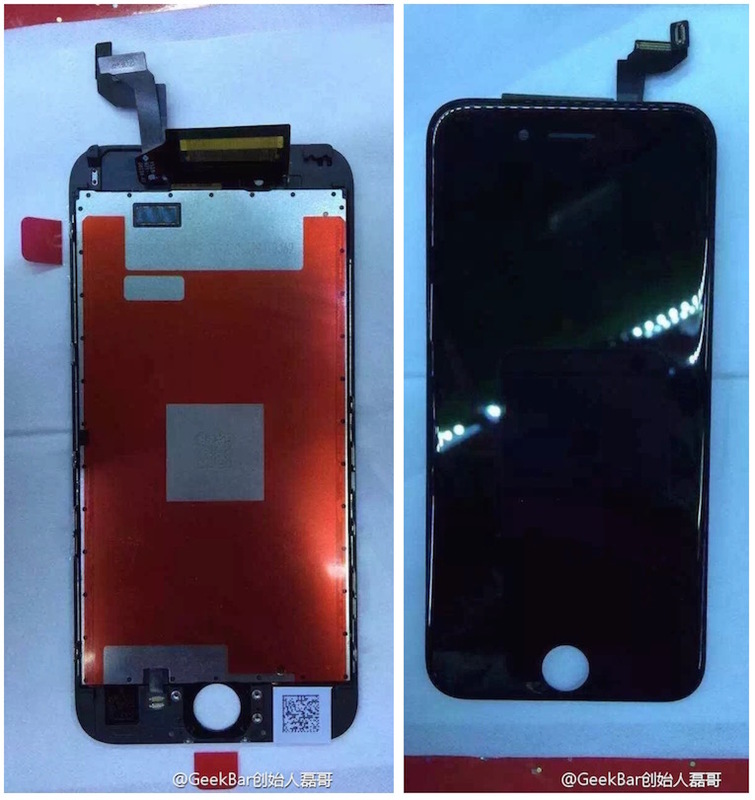 Rumors have suggested the iPhone 6s could be slightly thicker than the iPhone 6 in order to accommodate the new Force Touch technology in the display, but the slight difference would not be easily perceptible to users and could even allow many accessories to be compatible with both generations. The flood gates have opened. Get ready for two months of ribbon cables, speaker grill, and volume button leaks. I don't understand why people even bother with leaks on the 'S' iPhone model. All you have to do is just take your current generation iPhone in the comfort of your home and take some nice pictures from all angles. I don't think anybody will notice any difference. To me, Touch ID was a pretty big deal with the 5S. Is that enough to hide the protruding camera lens? Except for the back and front camera, and also for the fource-touch screen, you're right in the case of the 6s. Except for the fingerprint reader, and the dual flash, you're right in the case of the 5s. Which pretty much means you're wrong, of course. It's not the features of the S that are boring -- they're always the best. It's the leaks, which typically don't tell us much beyond "it looks pretty much the same as the current model". Still, I say keep 'em coming! iPhone 6S without force touch = iPhone 6... 2GB RAM and better camera isn't enough for me to upgrade iPhone 6.